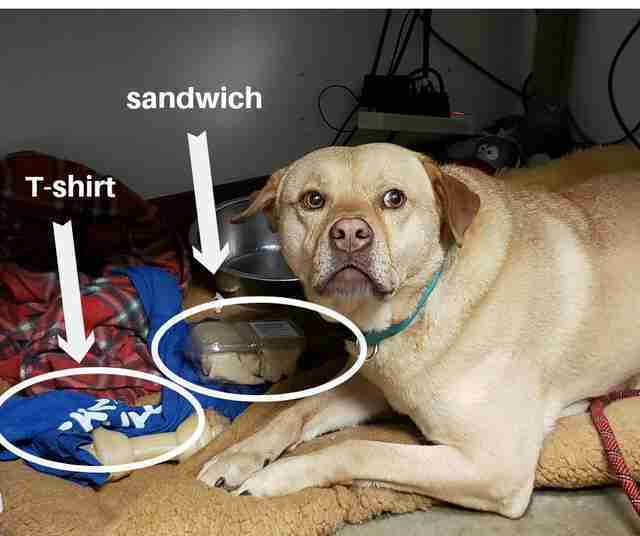 "Definitely clothing, he’s stolen loose change, a purse, a boxed sandwich (he didn’t eat it, just took it)." Kevin’s family surrendered him to the Austin Animal Center in November, and he’s been there ever since. 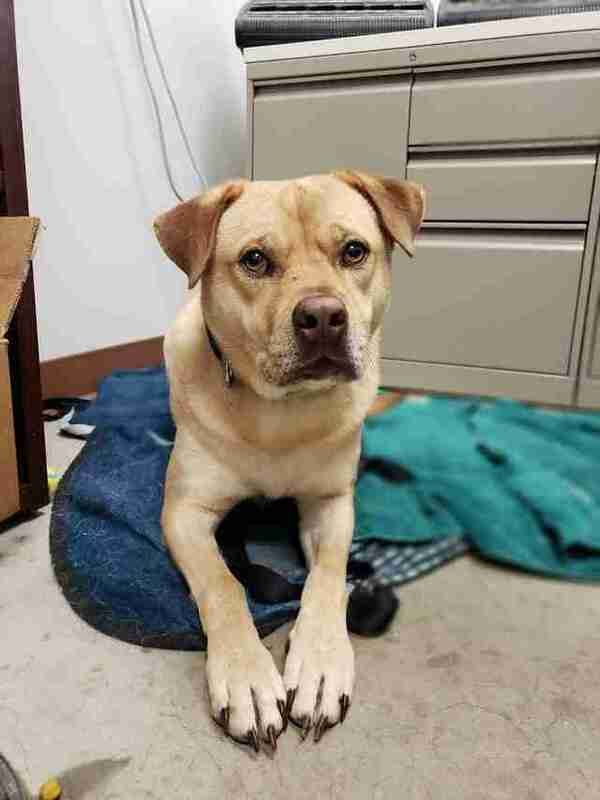 Recently, due to some space issues, the 4-year-old Lab mix was moved out of the kennels and into one of the offices — and that’s when things suddenly started to go missing around the office. It didn’t take long for his new office friends to discover that sweet Kevin had a bit of a stealing problem. 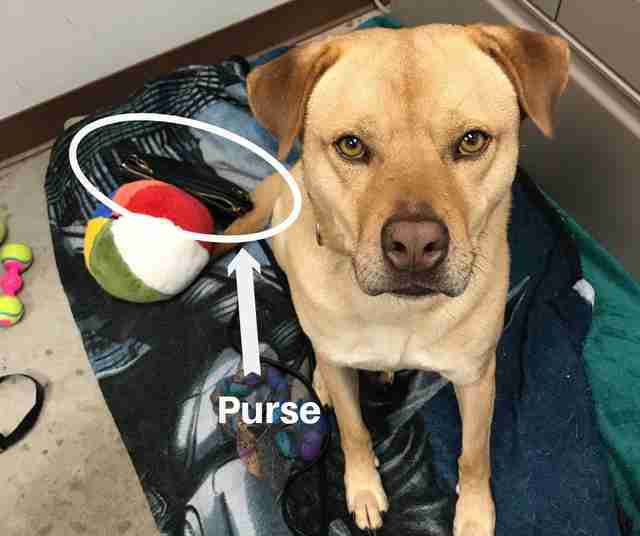 Whenever someone in the office left their things unattended, their new office dog would sneakily survey their stuff and take whatever he wanted back to his bed with him. He would later be found lounging on piles of his pilfered goods, seeming very content and proud of himself. Kevin shows no remorse for his stealing habit, and everyone quickly realized it was because he was actually stealing his friends’ things for the sweetest reason. After everything he’s been through with losing his family and having no idea when another one will come along to adopt him, it seems that Kevin is just trying to hold onto the people in his life — by whatever means necessary. 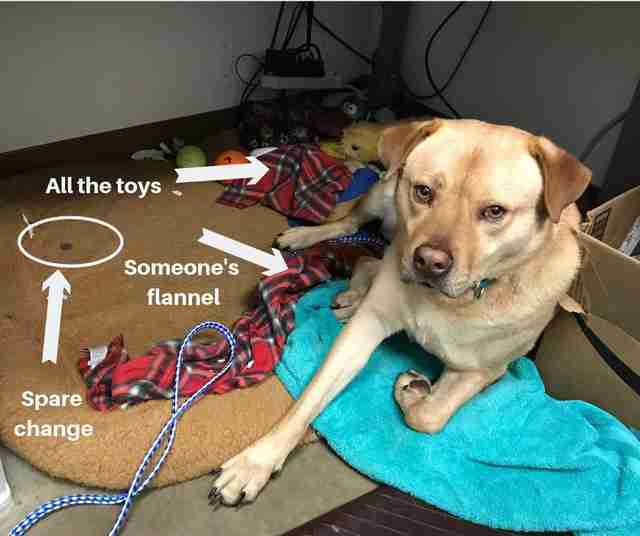 His stolen items mean a great deal to him, and he’s always very reluctant to give them back to their rightful owners. Kevin absolutely adores being around people, and besides his quirky stealing habit, he is very much a typical Lab. He loves going for walks and playing with toys, and, of course, cuddling up with the people who love him. Kevin would love a home with other animal siblings to play with and keep him company, and is great with both cats and dogs. 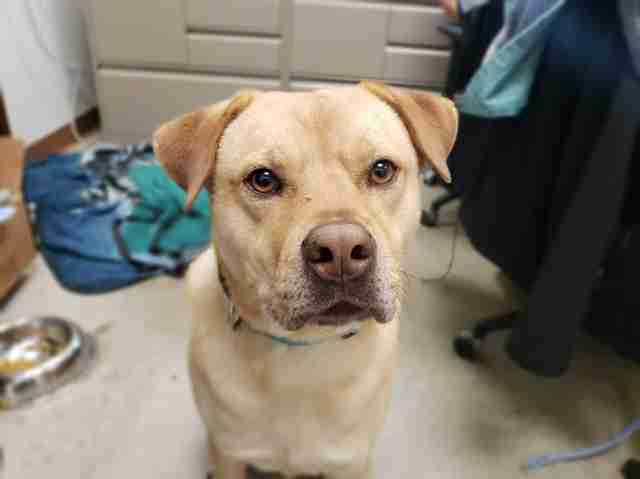 Other than that, all he needs is a family who loves him. It’s possible that Kevin’s stealing habit will subside once he feels safe and secure in his new home — but it’s also possible that old habits die hard. “I’d suggest a fairly tidy family, so that Kevin isn’t able to steal too many things,” Olohan said.